Wine lovers are generally an easy-going and affable bunch, generous of spirit and always willing to push the boat out in pursuit of their love of wine. Contentious debates like cork vs. screwcap or Old World vs. New are conducted robustly, but always with a readiness to listen to other points of view. There is only one issue capable of transforming this generous and tolerant class of citizen into slavering, bug-eyed menaces. If you want to see the biggest personality change since Bruce Banner turned a little green around the gills, just whisper three little words in the ears of your wine-loving friends: restaurant wine prices. Nothing inflames the passions of your average wine nut like the subject of ‘mark-ups’ on restaurant wines, which are typically listed at three or four times retail price. 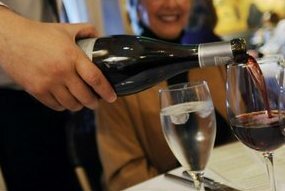 Whilst people happily accept this profit margin being applied to the food on their plate, their arguments on wine pricing are compelling: there is no great cost, skill or effort in opening and pouring a bottle, and that effort is much the same for a bottle costing £15 as one costing £150. The problem is that most restaurants apply a fairly simple pricing model meant to generate enough to cover all of their ancillary costs. They aim to make around 70% gross profit (GP) on absolutely everything they put on the table. Then they add VAT on top. In practice, those of us wishing to drink a wine worth £50 in a restaurant might face a bill for £196. And don’t forget the 12.5% service charge that will bump this up to £220.50. Our purchase of that single bottle we will contribute a cool £170.50 to the restaurant’s pre-tax profit, the house wine drinker next door might chip in less than £15. There is a powerful argument that those ordering expensive wine subsidise everyone else in a restaurant. They are certainly every restaurateurs’ dream customer. It is true that some places give a break towards the top of the wine list, reducing their GP a little. But this is still an unfair approach to wine. Even in the starriest restaurant it is hard for chef to spend more than £20 on the ingredients for three courses, so the food bill is naturally capped. But the cost of fine wines is practically limitless, and so too is the profit it generates. Though most restaurateurs (and the accountants who advise them) do not see the iniquity in this, it can be counter-productive. I know wine lovers with plenty of disposable income who refuse to play this game, drinking their best wines at home whilst ordering the cheapest wines when dining out. A few enlightened restaurateurs – invariably those who have an interest in wine themselves – play by different rules, for example switching to a fixed ‘cash margin’ on the wines at the top of their list. They may not make as much per bottle sold, but they will sell an awful lot more of them. But in the summer of 2010 a new phenomenon occurred, and it was one that rocked many in the industry. Some of London and the UK’s smartest restaurants begun to allow their customers to bring their own bottles. BYO, traditionally the province of unlicensed cafés and down-market eateries, had come to fine dining. Indeed, further evidence that BYO was finally gaining acceptance in top establishments arrived in the shape of The BYO Wine Club, launched in summer 2010 by entrepreneur and wine buff Khadine Rose. The club has negotiated BYO concessions for its members in top-end restaurants that would previously have rejected the idea out of hand. 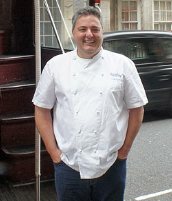 Names on the roster already include the Michelin-starred Club Gascogne, Arbutus, L’Autre Pied and the aforementioned Tom Aiken. The BYO Wine Club has etiquette rules, and issues members with discreet bottle totes rather than have them walk into a posh restaurant nursing a crumpled Sainsbury’s bag. This is the new face of BYO, not aimed at those looking for a cheap night out, but at passionate wine and food lovers who want to drink a treasured bottle along with great cuisine. Annual membership of the club at £99 makes this a club for serious food and wine lovers who are prepared to pay for the privilege of BYO. If this is the kernel of a revolution in how UK restaurants think about wine and wine lovers, then it is one that needs nurturing by both sides. Most top restaurants require the BYO diner to pay a corkage charge. Just how much this charge should be is another area that gets some wine lovers exercised. Many people are used to small, unlicensed local cafés charging a pound or two per bottle, but that is not sustainable for fine dining restaurants where every aspect of their costs is that much higher. Our side of the bargain (as wine-loving restaurant customers) is to understand that bringing our own wine is a huge concession, and all those costs of the restaurant do not go away. Personally, I think a corkage charge equal to the price of the restaurant’s house wine is the very least we should be prepared to pay to enjoy a food and wine experience that would otherwise be unattainable. Blogger Gourmet Traveller recently telephoned scores of top-end London restaurants asking if they would allow BYO. Although it is something they would never advertise – and may never have done in the past – the vast majority said yes. A small revolution has started in 2010, perhaps spurred by the global downturn, but it has the potential to change wine’s place in fine dining permanently. The New BYO has arrived and could be the luckiest break our small (and really very insignificant) band of serious wine and food nuts could enjoy. Take along your best bottles, share a glass with the sommelier and strike up a rapport. We are the children of the revolution, and it is up to us to convince restaurateurs that BYO drinkers might just be some of their best customers. Generally, French people don’t buy expensive wines in restaurants. Good wines are more for home entertainment. But even in our current difficult times restaurants do not offer BYO as a rule. Recently, I called a restaurant in Paris to request BYO for a special bottle, but the owner was firm in his answer: he never allowed BYO and never would. The wine regions have some exceptions: in Bordeaux La Cave de Bigoudy accepts all bottles without a corkage fee, as does Les caves de l’Abbaye in Beaune. These are places are for amateurs du vin – you have to know about them. Just as selling alcohol in the 50 US states is tantamount to selling to 50 different countries, so it is with BYO. The state of my birth, Illinois, has some of the most relaxed laws concerning BYO. There are no restrictions, not even for restaurants without an alcohol licence. Other jurisdictions forbid restaurants from offering BYO, whilst others such as Oklahoma in Kansas strictly forbid the sale of alcohol altogether. There’s an understanding that the customer, no matter how regular, should not bring a wine that is already on the restaurant’s list. A sensible measure that most customers respect. BYO in Australia is generally up to the discretion of the restaurateur. Corkage ranges from a few dollars to around $10 to $15. I have never encountered a restaurant in Australia that steadfastly refuses BYO although I’ve seen some pretty huffy wait staff when customers bring in a ten dollar brand name wine and expect to have it poured for them. The system works well in Australia. It leaves room for customers to take along a wine or two providing they acknowledges the fact they’re using glassware, wait staff and restaurant space and either tip accordingly or pay the corkage. The wine market in China is still in its infancy and restaurant prices fluctuate wildly. Mark-ups in Shanghai are usually much higher than in Beijing, which has to do with the ex-pat culture and higher cost of living. Licensing laws are pretty lax, but the concept of BYO is alien in most of the country. Even in first-tier wine cities it is only just catching on and corkage charges will depend on your negotiating skills. One problem for Chinese hosts is that BYO could look ‘cheap’. You are meant to impress your guests by ordering expensive bottles directly from the wine list. This article first appeared in Decanter magazine.